There is parking at the venue. Please see maps and follow officials directions on the day. Competitors and spectators are encouraged to car pool to ease congestion. Parking maps will be posted on Facebook the week leading up to the event. 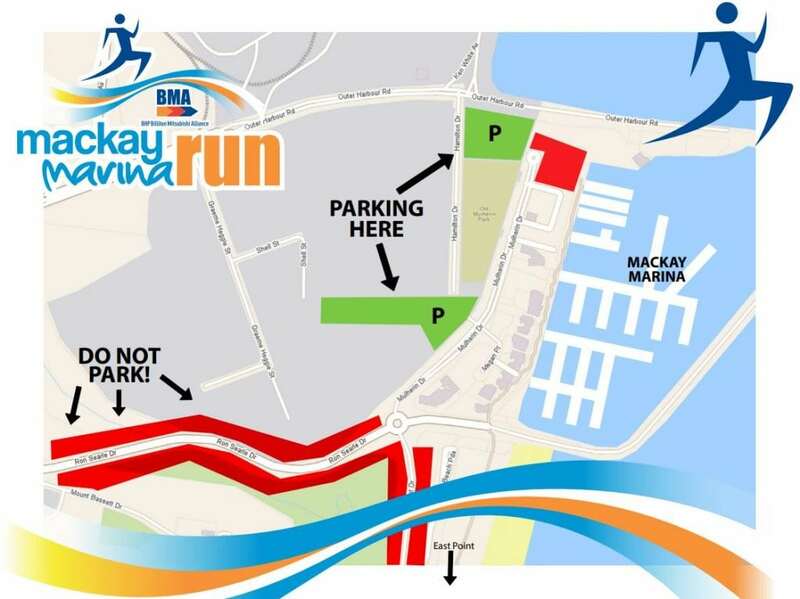 Competitors will move from the Marshalling area to the start line at the marina wall near the Yacht Club. It is planned to have all races start on time so all competitors are requested to be at the start line prior to start time. The 5km and the corporate challenge in particular will be very congested and competitors will be guided into the starting compound according to their expected finish times with walkers at the back. To prevent collisions and falls all must be mindful of the welfare of fellow competitors and are requested to not change direction suddenly particularly at the start. All measures have been taken to control traffic during the races. Traffic will be controlled by a combination of Police, Traffic controllers, road closures and course marshals. However all competitors are required by law to obey road rules and give way to road vehicles if the situation requires it.